Minister for Rural and Community Development Michael Ring T.D. Minister for Rural and Community Development Michael Ring T.D. 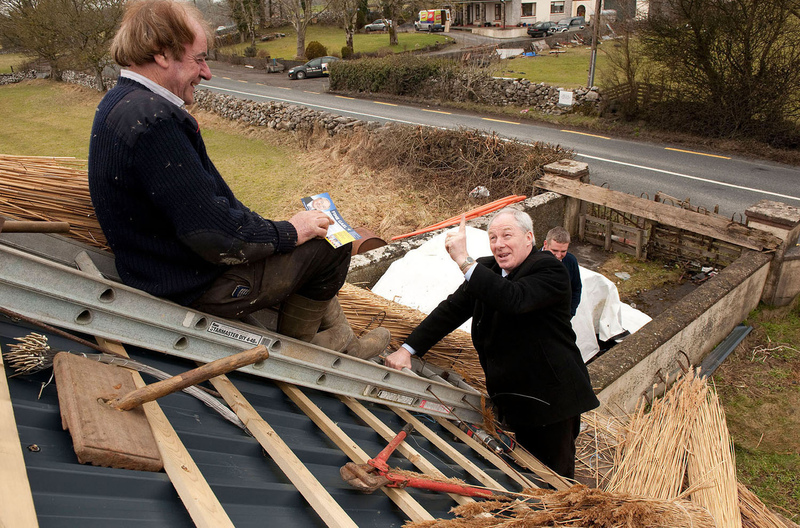 canvassing local thatcher Mike Hardyman in the village of Cross, South Mayo.